I love classic American dance musicals. I grew up watching Gene Kelly movies and I always adored great dancing. So I don’t really know why it took me so long to check out Top Hat, a show that has been in the West End for a while before embarking on a UK tour last summer. But no matter how long it has taken me, I’m glad I finally managed to see this wonderful show. Top Hat is pure entertainment, a slightly cheesy but never boring evening out. The cast is led by Alan Burkitt (Jerry Travers) who sings and dances his way through the story with such ease it is hard to take your eyes off him. He is charming, lovable and cheeky and quite simply a joy to watch. Charlotte Gooch plays Dale Tremont with grace and elegance. Seeing her and Alan dancing together certainly is worth the ticket price alone. The two leads are joined by a brilliant supporting cast. 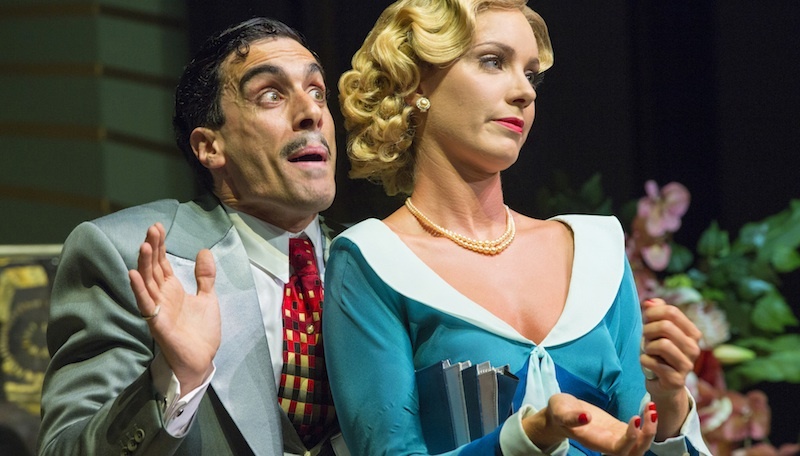 Rebecca Thornhill is wonderfully feisty as Madge Hardwick and Sebastien Torkia’s Alberto Beddini is hilariously funny. If only he got to show off his great voice in more than just one song. A special mention goes to John Conroy as Bates who really owns the dry humour in the show. The star of the show is the choreography. It doesn’t get much better than seeing the whole company dancing to some of the most glorious musical songs ever written. The story may be a little thin and predictable but that doesn’t make it any less enjoyable. In this show the story simply supports the magic of song and dance that come together so perfectly in this timeless classic. The set – while maybe a little dated by now – fits in with the style of the time and provides the perfect surrounding for this musical experience. 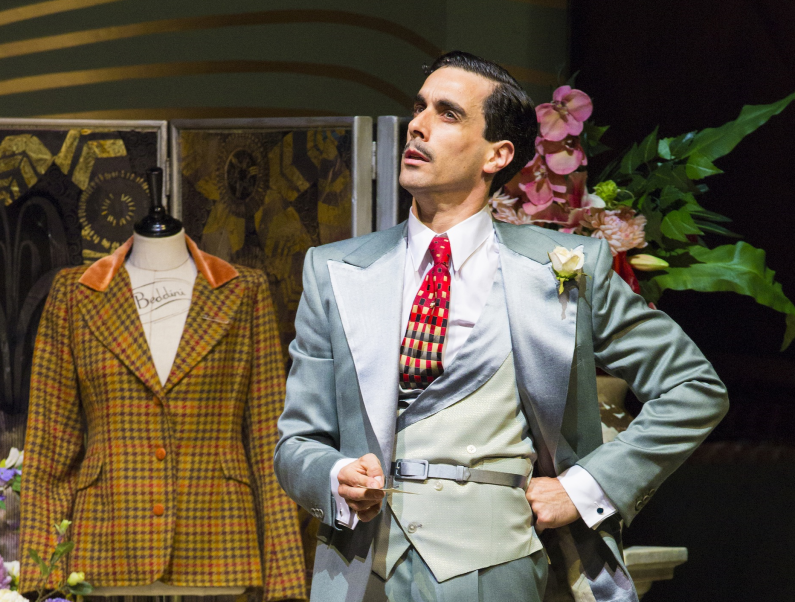 Top Hat is exactly what a musical should be like – it’s funny, heartwarming and entertaining. It has great dancing, songs that stick in your head and a cast that is mesmerising to watch. What can I say? They just don’t make them like this anymore. 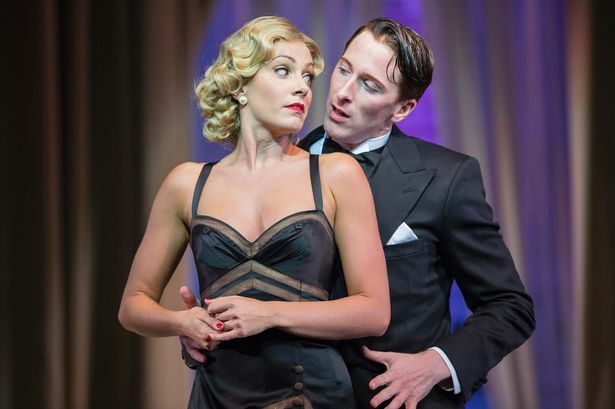 You can catch Top Hat on tour until 25th July 2015. For more info and tour dates visit http://www.tophatonstage.com.